This purple colored glass star light fixture is a perfect way to add visual interest to your southwest, rustic, or Spanish colonial decor. 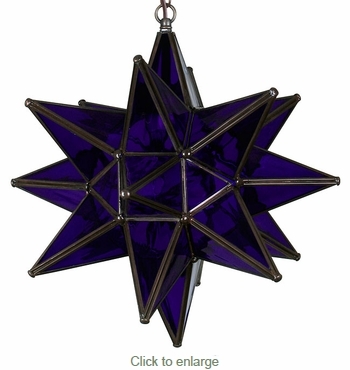 These colored glass star lights are all handcrafted by talented Mexican artisans. Add a colorful glow to your own rustic, Spanish colonial, or southwest indoor or outdoor space, or give a decorative star lamp as a gift.